OMG, I don't know how to start this review. 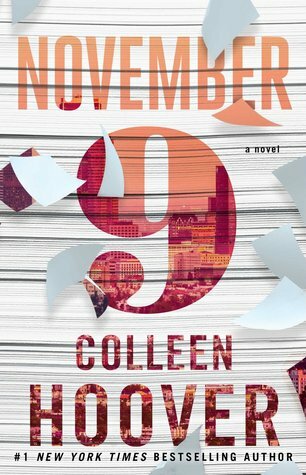 I think I´ll begin by thanking Colleen for being such an amazing author, and saying that if it wasn't for her I wouldn't be making my reviews in this blog, right now. If you are asking yourself how is that even possible, I can tell you a short story about how I fell in love with Slammed, which was translated to portuguese awhile ago and that I was so transfixed, amazed and thrilled after reading that book that I couldn't for the life of me wait the next one to be translated, I had to read, immediately. So I started to read in english, it was easier that I thought possible. And from that day, I didn't stopped reading in english and thanks to that I´m now reviewing for netgalley and that´s why this blog was a dream come true and all thanks to Colleen. So, coming back to the book in my table right now. I´ve been waiting for this book for so long that I thought I would die in happiness when I started to read. This book left me weeping like a baby, though I must say I´m not really a fan of Ben right now. It all started with a plot that kind of reminded me One Day. With Ben and Fallon only meeting once a year in November 9 (one doubt, has Colleen chose this date because of 9/11? Does someone know?). The plot flows so easily. Ben and Fallon has a really bad case of insta-love, though Fallon claims to hate books with insta-love. They´re perfect together, their witty banter makes me laugh like a loon and their angsty moments makes me sob like I´m the one having my heart ripped off my chest. *SPOILER ALERT* When Fallon discovered that Ben was with Jordyn, I was comfortably eating a pineapple ice cream and my spoon stopped mid-air while my heart stopped mid-thug, I just couldn't comprehend what a hell of a twist Colleen put it in my life. And when I found out Ben was the one responsible for Fallon´s scars I was a puddle of tears in my living room floor. How? How she does that? I strongly recommend you to read this book alone, or you'll embarrass yourself with your tear-stained face in front of others.